Combe Pafford School is based in Torquay and caters for pupils between the ages of 8-19 who have moderate learning difficulties, physical difficulties, ASC or complex needs. Their values include independence, friendship, responsibility, creativity and co-operative learning. 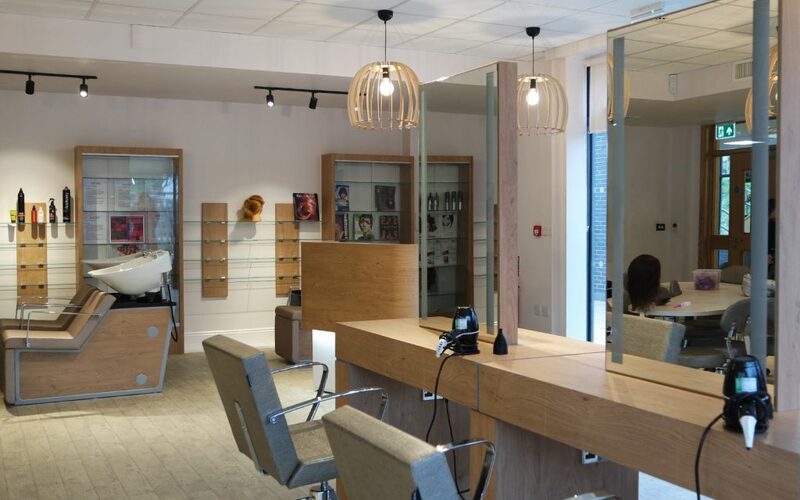 We were delighted to be asked to design a new hair and beauty salon for the school. The exciting brief was to design an inspiring, motivational space for pupils, teaching staff and potential clients, which complemented the existing building interiors. 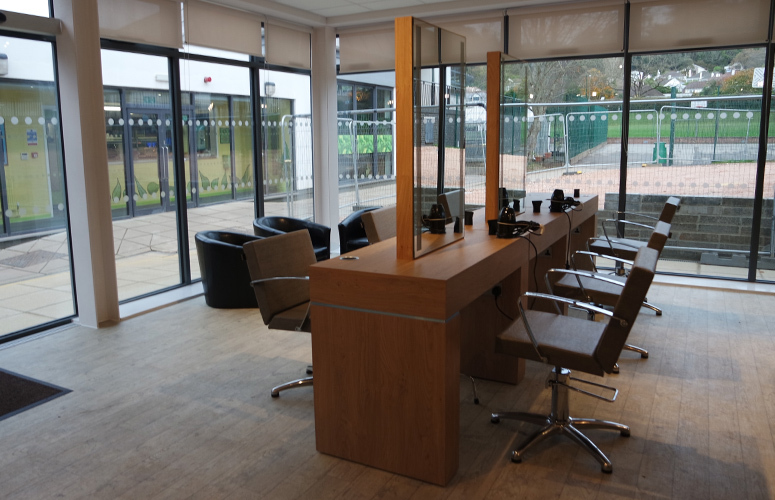 The salon required a considered interior space to balance the flow of potential customers, as well as accommodating education space for pupils and teachers. 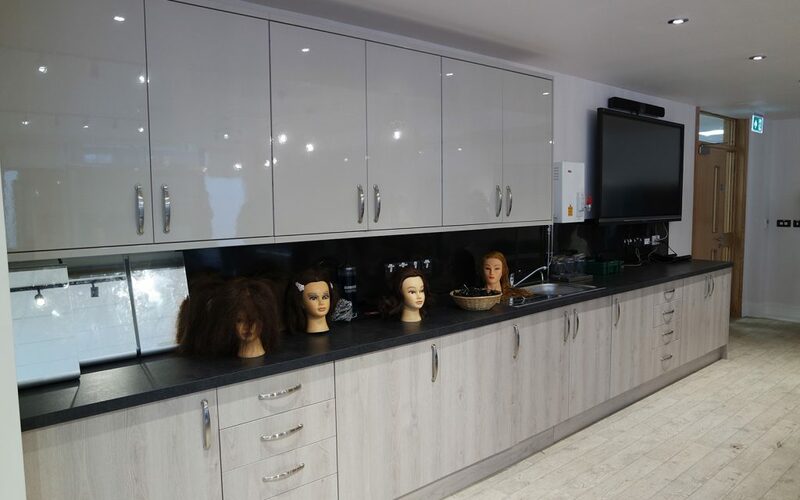 The students will learn about all aspects of hair and beauty, from meeting and greeting customers, checking and booking appointments, tending reception, cutting and colouring hair, preparing equipment, and cleaning up afterwards. 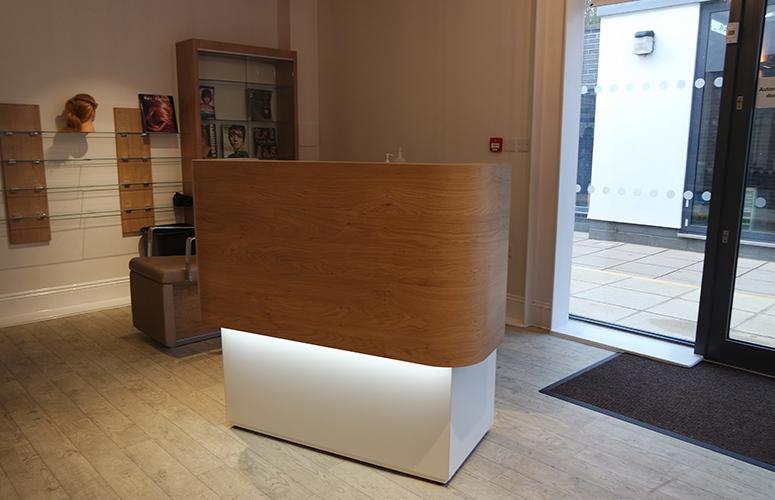 We designed a light and bright salon with a contemporary aesthetic consisting of simple clean lines, black metal feature elements with light timber added to soften the space. 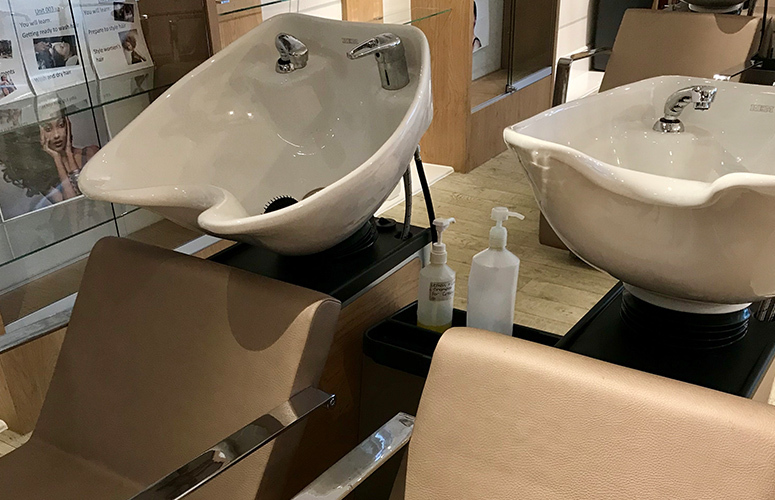 We allowed for plenty of space between the hair stations, preparation area and reception, so that students with mobility difficulties can work and learn without issue. The wash units were set in open areas so they could work to their full potential. We also ensured that the stations could be easily transformed for cutting and nail use. 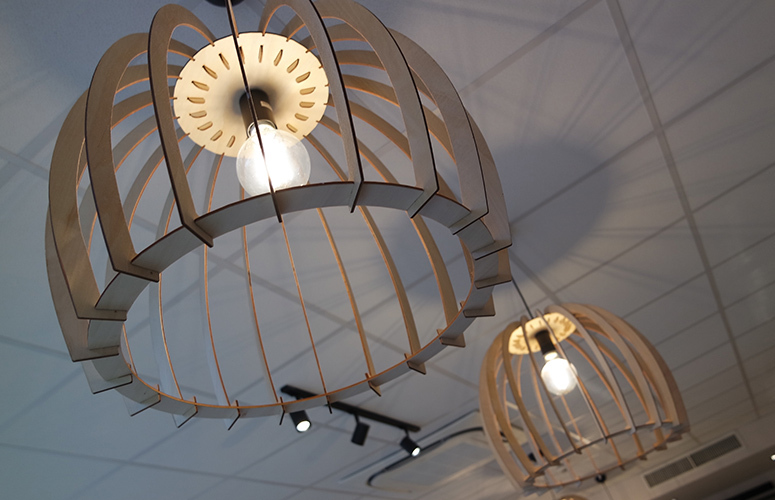 Lighting is key in a beauty salon, and the design included anti-glare and adjustable track spotlights, with softer pendant lighting, made from natural materials, in the waiting area. Fruition creates effective designs by understanding our clients, their proposition and the challenges they face. 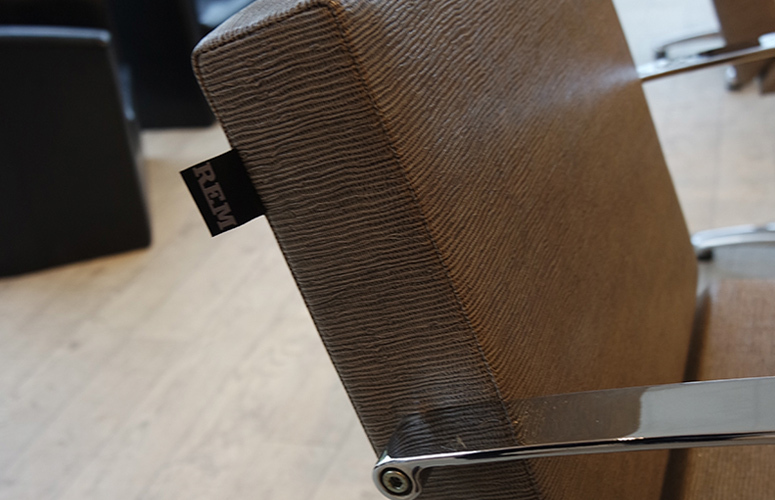 For us, the most important aspect of design is to listen to our customers needs. The success of every project rests on our proven process for managing a project from conception to completion, by defining the brief, analysing the business proposition, identifying the target market and designing a creative solution, delivered on time and within budget. The salon is now complete and students are getting stuck into and loving using the space. 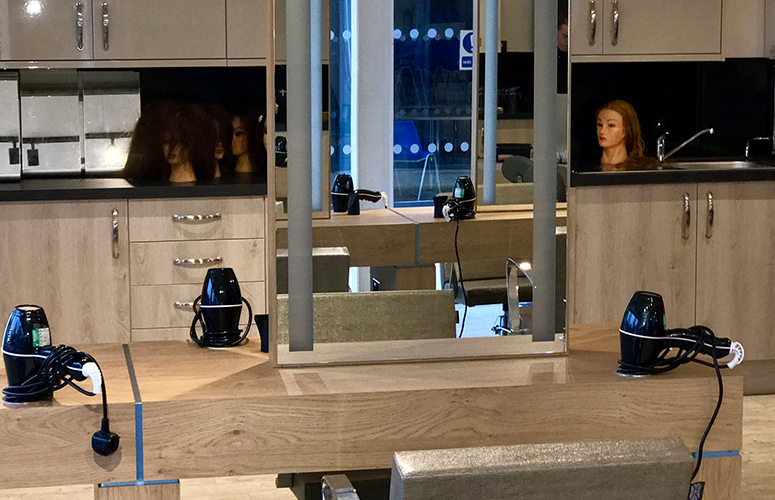 The client feedback has been super positive and we look forward to hearing more about how the students are thriving from the facilities the salon offers.